NuWaves Engineering has invested significant resources in developing our rapid prototyping capabilities with in-house equipment that allows our team to instantly procure prototype hardware following a design – utilizing our 3D printers, in-house machine shop, and printed circuit board (PCB) prototype fabrication equipment. These in-house resources, along with our state-of-the-art simulation software, gives our engineering team the opportunity to conceive, design, implement, manufacture, and validate a product, using rapid prototyping methods and computer-aid tools. A course of iteration, fabrication, and validation comprises this initial design cycle. Our engineering design team then conducts design optimization practices using structural analysis software, with their phase one prototype as a baseline. Eliminating the need to rely on slow and unpredictable 3rd party vendors for prototype hardware creates unnecessary risk when creating a project budget and schedule. Having complete control of the development process allows us to more accurately budget and forecast our project schedules, where we pass those savings along to our customers. 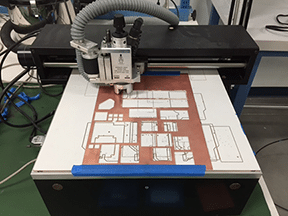 To support rapid prototyping activities, NuWaves has printed circuit board prototype fabrication capabilities in-house which utilize a computer controlled machine to route circuit traces and drill vias on the circuit board. Since it is fabricated from the standard Gerber files, the complete printed circuit board has exactly the same characteristics as a circuit board fabricated using conventional chemical etch process. 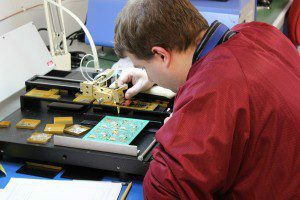 Because the total process is in-house, complete circuit card assemblies can be built in short order by skilled assemblers who can perform the hand placement typically used for prototype circuit boards. 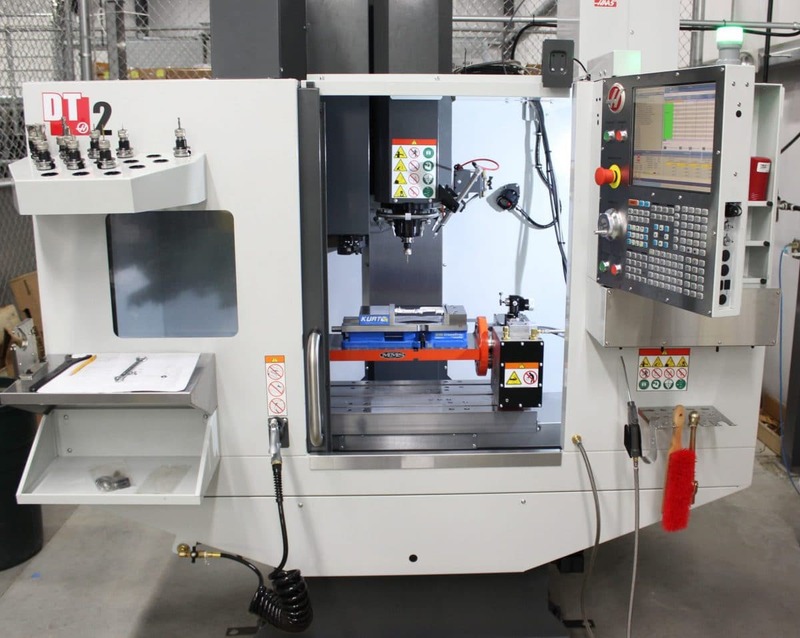 Moreover, NuWaves has automated parts placement equipment for very high production quantities if needed to support follow-on of increased quantities. …used to support manufacturing of all mechanical chassis for our entire line of COTS products, our rapid-fill custom RF cavity filters, and for any custom chassis or mechanical modifications that might be needed to support a rapid prototyping effort for a design project. Environmental testing is also available on-site to further reduce testing time and help meet your requirements. Contact NuWaves when your next project requires Rapid Prototyping expertise.